Evo & Grace: The WanderLusts: Soaring Soliloquies, Belting Songs and Moving Symbols In Himala, Isang Musikal. Soaring Soliloquies, Belting Songs and Moving Symbols In Himala, Isang Musikal. 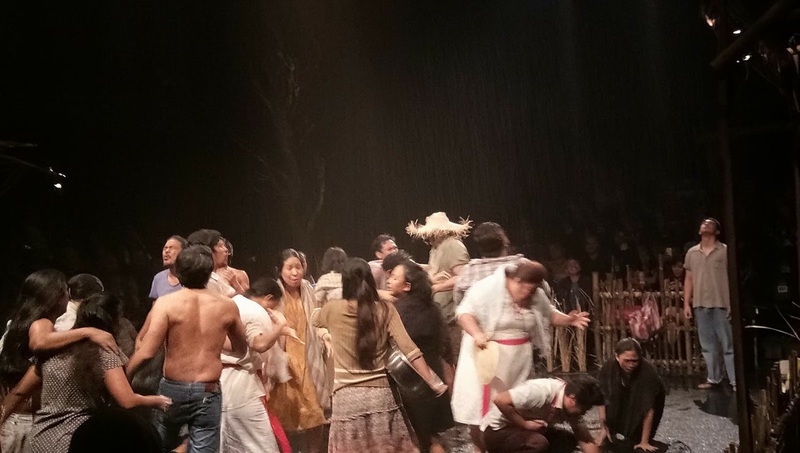 From screen to stage, Himala, a 1982 critically acclaimed film by the late National Artist for Film Ishmael Bernal still reflects, replicates and resonates today. 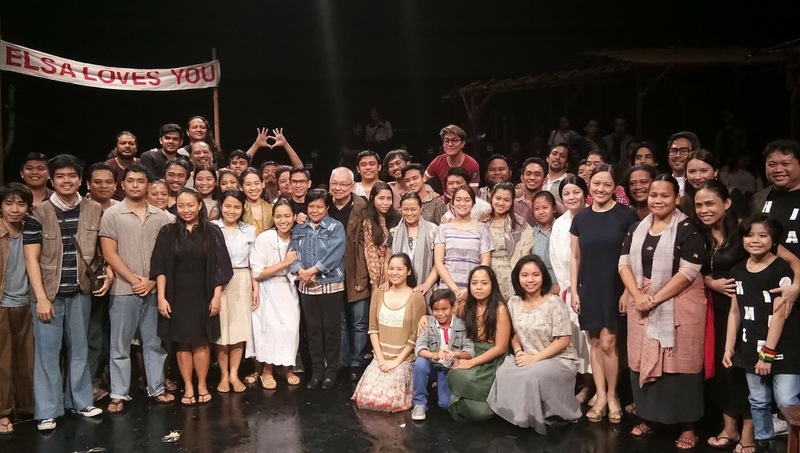 Thanks to the creative, collective and collaborative production effort of The Sandbox Collective and 9 Works Theatrical for bringing back HIMALA: Isang Musikal, their first co-produced full-length musical in Filipino. An original musical with book and lyrics by Ricky Lee, music and lyrics by Vince de Jesus and with direction and set design by Ed Lacson Jr. is now playing at the Power MAC Center Spotlight, Circuit Makati from 10th of February to 4th of March. "Walang Himala" debuted at the Cultural Center of the Philippines in Tanghalang Pilipino's 20th theater season and returned on its 21st season due to popular demand. This new production with new cast took three years to reinvent. It became a rare iconic evening as the original and current cast and creative gathered during the invitational press and VIP night, in attendance of course is Nora Aunor, the original Elsa in the film, hailed as Superstar of Philippine cinema. The very excited and scared Aicelle Santos stepping into the classic shoes of Elsa, considered the hardest role she have ever played. Her recent performance in "Maynila Sa Mga Kuko Ng Liwanag" was a thrilling and moving scene but in Himala everything was all about her. Santos tenacity, clarity and maturity was undeniably and unbelievably a signature. The creative process and motivation to discover the inner anguish of Elsa was definitively convincing, an act of moving silence. 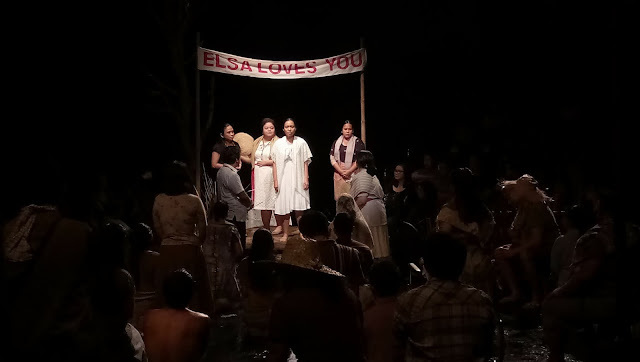 The vivacious and voluptuous singer turned theater actress Bituin Escalante playing the loving and caring Saling who adopted Elsa deserve highly recognition. Seated on a very good sightline and saw her very up close and personal made my watching experience moving and mesmerizing. A favorite of mine ever since she turned pro, I can't wait to see her vicious in the upcoming production of Rapunzel later this year. I like her because she's always a monster onstage regardless of the role. Pilo former lover of Chayong is Sandino Martin, a follow-up from his featured performance as Bitoy in the screen adaptation of Ang Larawan. The moment he entered the stage, it became statement already. The innocent looking face turning into a lunatic freak is hard to be missed, effectively insane. Regular and seasoned actor David Ezra, son of Dulce who originated the role of Saling, is playing filmmaker Orly who came to Cupang to document as the story unfold until the bitter end. It's not surprising that you will catch Ezra in full swing of his character, as always he never fails to amaze and surprise. For him to look mature, he had trimmed moustache, that's a pro. Everyone in the cast made a remarkable and notable improvisation and impersonation whether nonverbal or verbal, hauntingly beautiful and strikingly deep. This new experimental staging has both minimal and permanent set to achieve realistic approach combined and complemented with mood dimmed lighting designed by Barbie Tan Tiongco. The idea of having patrons seated in theatre-in-the-round is suitably perfect for the actor-audience interaction. Authenticity is required for props and scenery because of the close proximity to the patrons. Lacson, responsible for stage businesses, blockings and movements was impressive. He created quite stunning placements of these actors specifically the ensemble, with proper emphasis on both symmetrical and asymmetrical balance despite the limited space as the story takes place. The Cast and crew of Himala:Isang Musikal with Superstar Nora Aunor and Master writer Rickey Lee. Himala: Isang Musikal is a story about faith and truth, miracles and curses, morality and immorality, love and friendship depicted in the eyes of Elsa and the people of Cupang. A must see musical mirroring and lamenting Filipino values, cultures and traditions narratively and symbolically expressed in different forms and genres. REP’s A Comedy of Tenors: An Operatic Mayhem. Himala: Isang Musikal, the 2018 comeback.